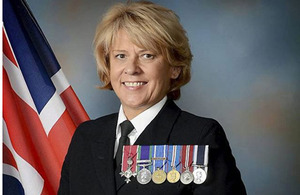 The longest-serving woman in the history of the Royal Navy has retired from active service following a 34-year career. 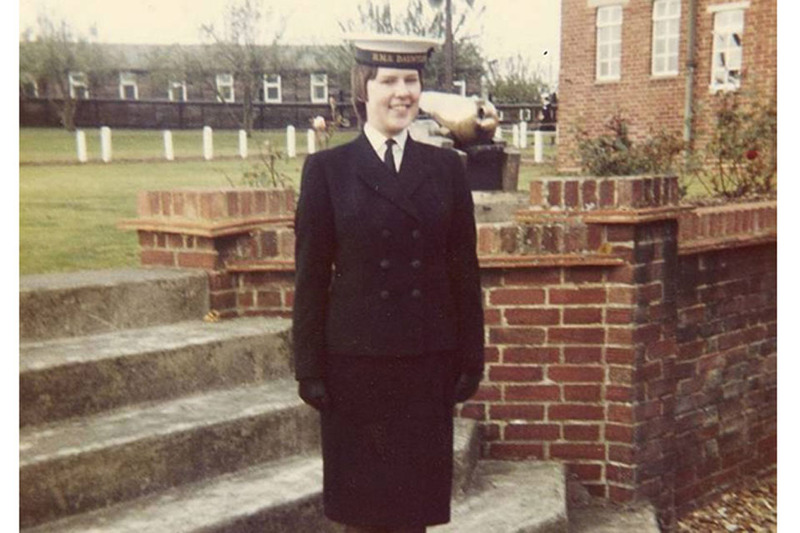 Warrant Officer Class 1 Susan Morgan joined the Wrens in 1978 and has served on five overseas postings and three ships as a Royal Navy police officer. Now retiring at age 52, WO1 Morgan’s last appointment was as the lead mediator and investigator for equality and inclusion issues at Navy Command Headquarters in Portsmouth. This was pioneering work for the branch for which she was awarded an MBE in 2010. WO1 Morgan joined the Royal Navy at the earliest opportunity - at just 17 years old. WO1 Morgan’s first posting came within a year of basic training in 1979 when she was posted to work with 40 Commando Royal Marines at Shackleton Barracks, Limavady, Northern Ireland. She worked in the Officers’ Mess delivering admin support, which then allowed an extra patrol of marines to work outside the wire. Personnel were being recalled from leave,” she said. “I remember sending two men to Brize Norton air base to check 500 life jackets before being sent to the Falklands. This sense of urgency meant they travelled up in a staff car, no expense spared. I also remember the Master-at-Arms calling us into his office to say he had received a flash signal that HMS Sheffield had been sunk and personnel killed. We then had to check our systems to see if any of their next of kin were in the area, so that they could be told as soon as possible. It was such a shock; it brought everyone together with a common purpose to support each other in any way we could. Diego Garcia is a beautiful place to work where the role of Navy police officers is to ensure British Indian Ocean territory law is enforced,” she said. “While I was there, the authority we had over US forces and employed nationals meant we were involved in an attempted murder, poaching, illegal fishing and the sad case of a stillborn baby - all serious cases outside our normal remit. As the first Master-at-Arms to serve at Flag Officer Sea Training in Plymouth, WO1 Morgan was a sea rider working on British and foreign ships who came to the establishment for training. Her specialisation in dealing with conduct after the capture of prisoners of war at sea meant that this small contribution, within a specialist organisation, prepared ships for possible deployment to areas of conflict. When WO1 Morgan joined the Naval Service it was a year after the Naval Discipline Act came into force in 1977. This Act ensured equality for the two sexes in dealing with matters of law, both naval and criminal. I was always being told you have not done the job until you have served at sea,” added WO1 Morgan. “Being addressed as Master helped with integration of working on my first ship HMS Invincible where we conducted two back-to-back, seven-month deployments in the Adriatic. Nothing really prepares you for life at sea though - the confinement, the banter and the loss of private life. It felt a real privilege to visit somewhere so remote,” she said. During the two deployments, the ship visited Argentina, the Falkland Islands, Cape Town, Montevideo, Rio and Peru, to name but a few. WO1 Morgan’s final posting, in which she served for more than five years, required her to use her investigative skills in dealing with allegations of bullying and harassment. In 2007 she became an accredited mediator, specialising in resolving workplace disputes. Although senior officers were initially sceptical of this alternative method, the high success rate and the savings on time and cost meant that commanding officers could ensure the restoration of operational capability within one to two days. This avoided lengthy investigations, reducing any additional stress on individuals already serving in a sometimes highly pressurised environment. For this work, WO1 Morgan received a Commendation from the Second Sea Lord and the prestigious award of an MBE from Prince Charles. I have had the most incredible career working with inspiring and amazing people. With a vocation of joining the Police, establishing a career which included travelling the world was a dream come true. Naturally in some aspects I will be sad to leave; however, I have been preparing for life outside for the last two years, receiving advice and bespoke resettlement courses, so I’m now looking forward to new challenges and the next chapter of running my own business.